Whether you own one property or ten, running your vacation rental as a business is an important decision. 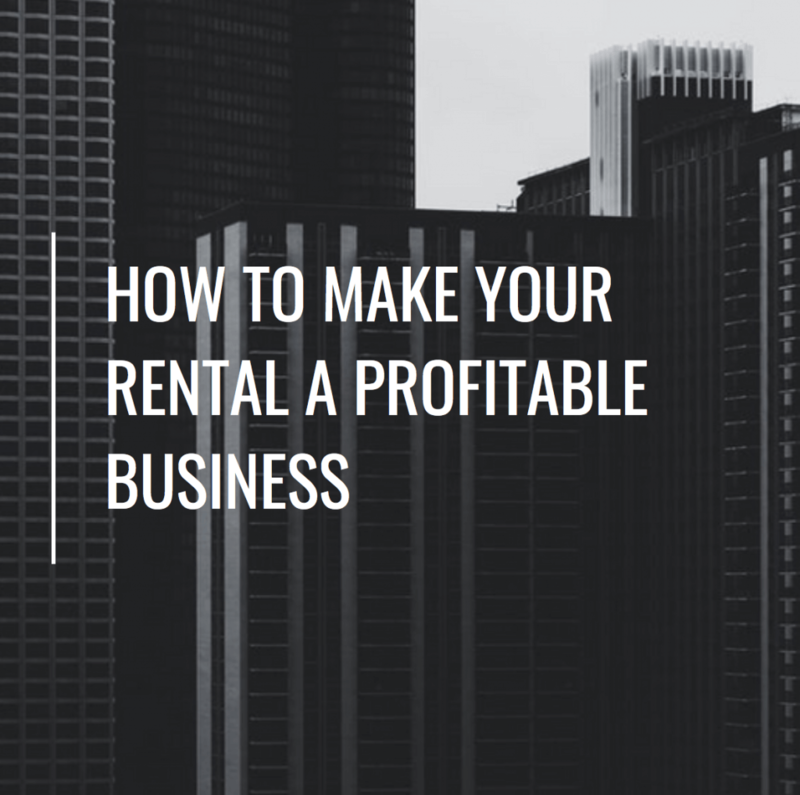 In this blog we will go over tips on how to make your rental a profitable business. There are both positives as well as drawbacks in partnering with others for your vacation rental. By partnering you are able to save on the costs of buying the property as well as split the time and effort of managing a property. This choice is entirely dependent on your financial situation as well as how much time you wish to devote to your Airbnb. Soley running and owning your own vacation rental can be expensive but financially rewarding in total profits. By running a vacation rental on your own you are responsible for all of the costs that are put into buying the home and maintaining the home. If you are able to handle the upfront costs of purchasing a home as well as paying for repairs and a vacation rental cleaner, sole ownership may be for you. In the long run, receiving total profits when guests stay with you results in higher profits opposed to partnering and splitting the profit. In terms of time management of running the vacation rental on your own, hiring a property manager is a great option. The number one thing to remember when pricing your VR is to price competitively. To price your rental, look at what VR exist in your area and how they are pricing. Examine what your rental has to offer compared to rentals in your area. Note how they are pricing in terms location, amenities and remodels. To price competitively, you should price slightly lower than what direct competitors in your area are pricing their vacation rentals. This way when it comes down to the customers final decision, they will be more likely to choose your slightly less expensive rental. Seasonal pricing is something to keep in mind when setting your prices. For example, if your property is in an area that gets busy during the summer, it would make sense for your prices to raise for summer rates. Insurance is a necessary expense when running a vacation rental. Insurance for your home protects and benefits you and your rental. If you are not properly insured, you may be held liable for any claims against the property. Having insurance for any damages to your property is especially wise for a vacation rental due to the possibility of strangers coming into your home and causing damage. Treating your vacation rental as it’s own business starts with setting up a checking account specifically for your vacation rental. Setting up a checking account for your property allows you to properly record income and expenses. The quality of the photos in your listing for your property are crucial in booking your vacation rental. Photos are where you advertise your property, therefore you want your home to look as beautiful as possible. Professional photographers know how to properly show off your property while not making photos deceiving in terms of the size of the property that the guest expects. If you wish to save money by taking pictures of your own home, here are tips for professional quality rental photos. It is important to maintain and review your listing. Look out for changes in rates, new reviews and any errors that may occur. Your listing should always look its best and have no errors that may dissuade potential guests from booking your rental. Rental agreements are a hosts best friend for ensuring understanding of expectations for guests. These agreements include: Dates, Rates, House Rules, Cancellation Policy, Maximum Occupancy, Check In/Out Procedures and Damage Policy. These agreements also protect your rights as a host to remove guests from your property if they are violating rental agreement. The agreements also include your cancellation policy. This protects you from a guest attempting to cancel and receive a full refund right before their trip dates. Once your vacation rental logistics and listing is set, the biggest task as a host is keeping guests happy. Happy guests means great reviews for your property. Good reviews come from factors such as high response rate and accuracy of listing. Next Post A Couple in Brazil manages their first vacation rental from 3,500 miles away with the help of TurnoverBnB.